Your family is held together by a special connection that keeps you in each other's hearts. 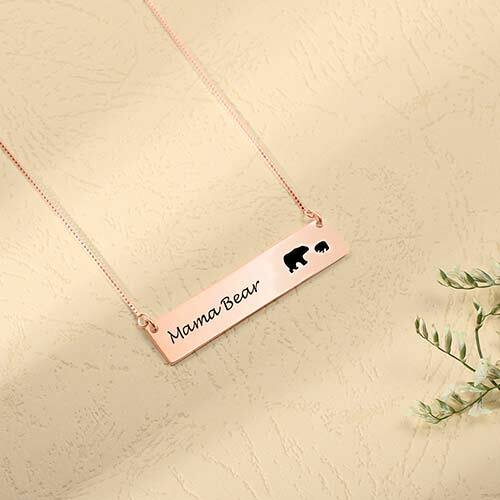 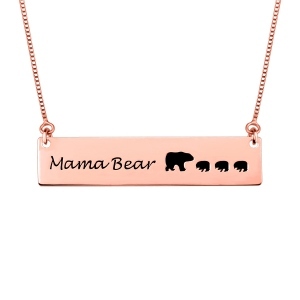 Now, you can celebrate this moment with the mama bear bar necklace. 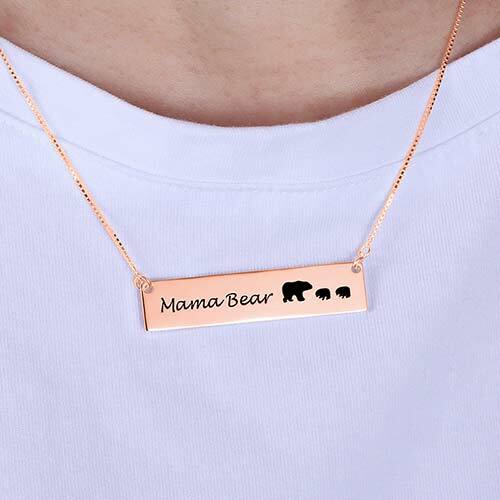 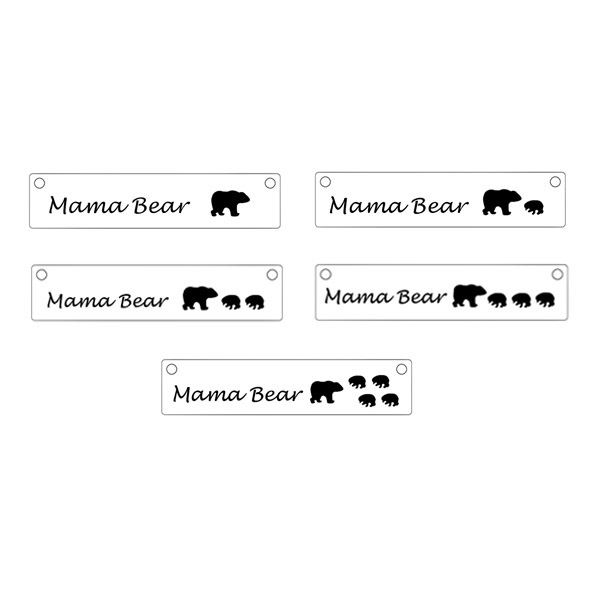 What makes this personalized bear bar pendant so special is that you can customized the bear number which up to 5 to create a beautiful one-of-a kind expression of your family bond. 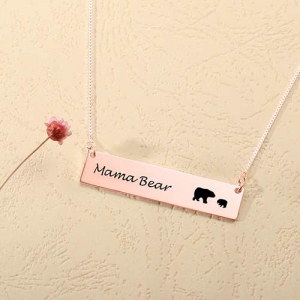 Whether you choose to wear it yourself or give as a stunning personalized jewelry gift, this engraved pendant necklace is a gorgeous expression of infinite love to your mother.